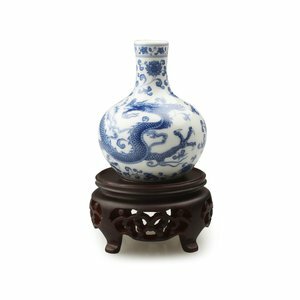 The design of this product derives from National Palace Museum's collection - Celestial Globe Vase with Decoration of Dragon among Lotus Blossoms in Underglaze-Blue, Yongle reign, Ming dynasty. This example of underglaze-blue porcelain is called a celestial globe vase because the body is round like the shape of a celestial body. 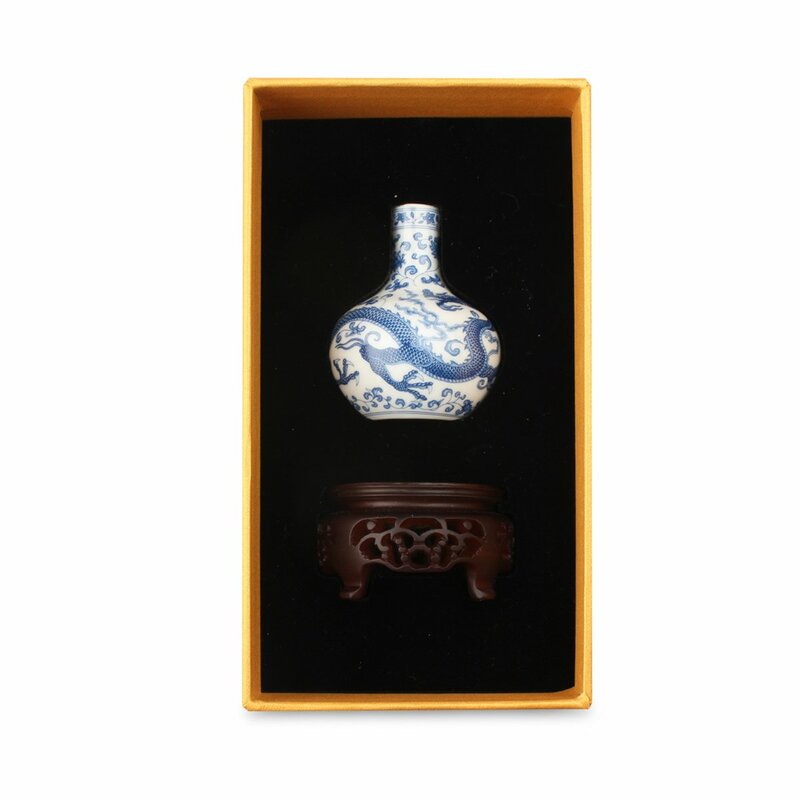 Both in shape and decoration, celestial globe vases from the Yongle and Xuande reigns are known to be especially exquisite and refined. Areas of the vase neck and body not taken up by the dragon itself are filled with flowing lotus stems and flowers. The powerflu dragon image forcefully converys the supremacy of imperial power.